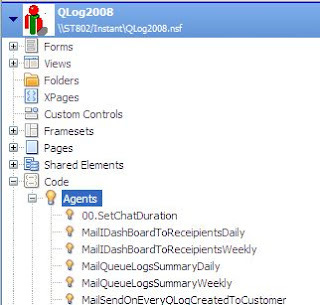 Please perform the following steps to enable the agent to send chat transcript to the customer. Open the QueueLogs database using IBM Lotus Notes Domino Designer. 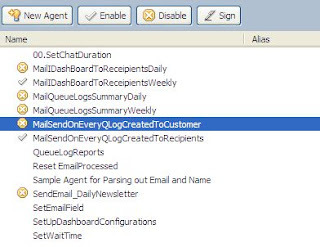 By performing the above stepts, the agent to mail chat transcripts to the customer will be enabled. 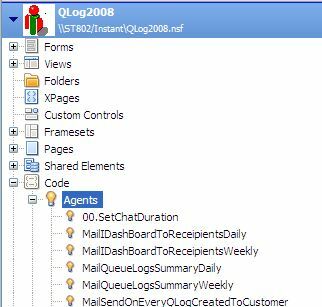 This agent will run every time a log document is created and if it has valid customer email address, chat transcript will be mailed to that email address.